The Creminelli family has been producing artisan meat products as far back as the 1600s according to family legend. In the early 1970s, Cristiano's father, Umberto Creminelli, took over the small family business, Salumificio di Vigliano, near the town of Biella at the foot of the Italian Alps in northern Italy. In 1990, Cristiano, who had grown up in his father's Salumificio, was put in charge of the production. By 1996, he was a managing all aspects of the company with supervision from his father and help from his brother. In 2000, Cristiano had widened the family business and in 2006 the Salumificio was the first meat producer in the province to receive the prestigious Artisanal Excellence award, bestowed by the Piedmont Region and the Slow Food organization, which was started in the Piedmont Region. In 2006 Cristiano made the commitment to build Creminelli Fine Meats in America and began producing in June of 2007. 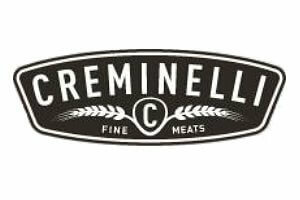 As far as ingredients and processes at Creminelli Fine Meats they follow the artisan traditions of the Creminelli family. Flavor and texture are their trusted guides when sourcing raw materials. Only all natural and organic ingredients are used as well as heritage meats that are humanely raised without antibiotics and with vegetarian feed. And whenever possible, they buy local. Barolo is often considered one of the bes Italian wines; it is made from the the Piedmont area in Northern Italy. Barolo is a rich and full-bodied wine with a strong presence of acidity and tannins and Barolo wine is often compared to a Burgundy Pinot Noir. The richness of the Barolo is a great candidate to add to robust flavors of Creminelli artisan salami, and you will recognize traces of this great Italian red wine in this salami.